Incorporate all ingredients until the batter is mixed well. On a 350 degree oiled griddle or frying pan (Non-stick spray, or a light coating of vegetable oil just rubbed around the griddle with a paper towel), pour the pancake batter in typical pancake size and shape on the pan. Peel and dice an apple and set aside. While pancakes are cooked and just about done, drop a few apple pieces on top of the pancake before you flip it. Brown on both sides, and serve and enjoy! 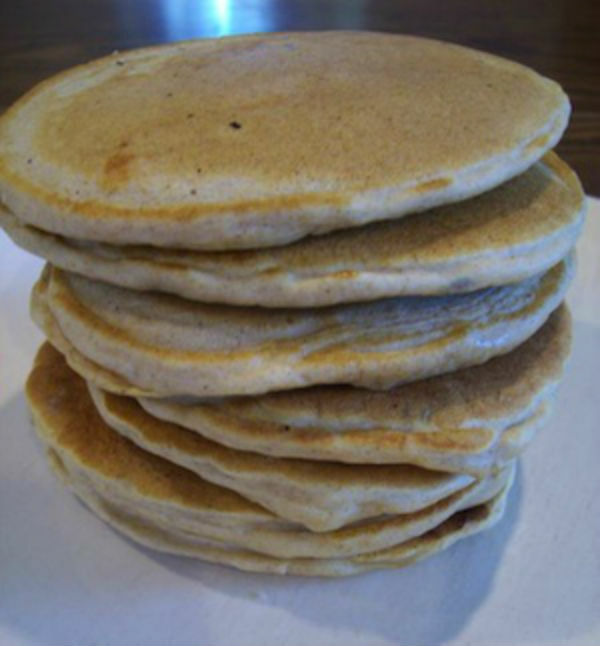 This recipe makes 10 pancakes.